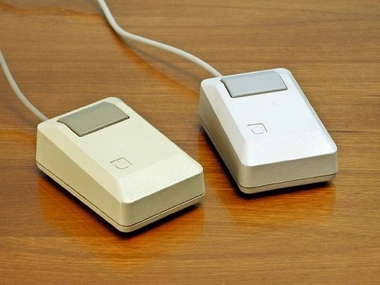 The Diggers, a very popular National Geographic show found the famous Steve Jobs’ Time Capsule, in which they discovered the original Lisa mouse. The capsule was first buried in 1983 during the International Design Conference. Back then, famous Steve Jobs held a speech and donated his Lisa mouse to be placed in the capsule. The capsule was after buried in Aspen, Colorado, but it seemed that organizers forgot the exact location of the time capsule. Along with Lisa mouse, the time capsule also featured other contemporary artefacts. They included a script from the popular TV show Hill Street Blues, as well as a Kodak Instamatic camera. Moreover, in the time capsule there were buried a six-pack of Balantine beer, as well as Rubik’s cube and a Moody Blues tape. So, even though in the time capsule there were buried other items that had absolutely no connection with Steve Jobs, it became famous as the Steve Jobs’ Time Capsule. Steve Jobs’ Time Capsule became even more famous when the organizers of this event found themselves in the impossibility to locate it. A major landscaping project made in the area since then seems to be the one to blame for this. The production from National Geographic’s Diggers tried their luck in 2013 and it looks like the crew was successful, as they managed to find the time capsule. The finding was featured in a video and the team was extremely happy, but it seems that not everyone appreciated the results. Actually, many critics said that it was pretty soon for the time capsule to be looked for now, as there have passed only 30 years since the moment when it was buried. However, it is important to mention that the initial intention was to dig the time capsule up in the year 2000, which meant that it was desired for the time capsule to be uncovered even sooner, at just 17 years since the moment of its burial. How much changed in this short amount of time? Well, when it comes to technology, things seem to evolve really fast, so we can definitely say that since the Lisa mouse, this industry has deeply changed. The episode of Diggers which will present the uncovering of the capsule will be aired on 25 February.